O. Lee Wilson, DMD, Chair, Dentistry, has initiated a Dental Operating Room Fellowship, the first of its kind, to fill a growing demand for treating special needs patients. 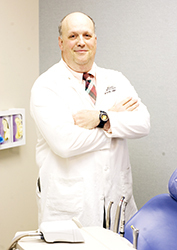 Dr. Wilson has been working with special needs children for more than 27 years through the Department of General Dentistry, and he has found that the best method to treat overly sensitive patients is to take them into the operating room so that they can be put to sleep under anesthesia. Fellows who participate in the Dental Operating Room Fellowship are required to have completed one year of residency training, and two years is preferred. John M. Coulter, DDS, a recent graduate from the General Dentistry two-year program, will be the first fellow to participate. The one-year program will provide specialized, hands-on dental training in the operating room as well as rotations in Anesthesiology, Family Medicine, and Oral and Maxillofacial Surgery. The fellow will also be responsible for creating and overseeing simulated training exercises performed in the UT Center for Advanced Medical Simulation by residents in the General Dentistry Residency Program as well as dentists in the community for continuing dental education. Practicing dentistry is unique from medicine in that dentists are not required to complete residency following dental school for licensure. The UT Graduate School of Medicine has offered a one-year residency program since 1977, and recently, several residents have continued through a second year. Dentists who complete residency training gain more experience in the clinical setting as well as experience in a hospital and academic setting. Dental fellowships are considered rare, and a mechanism for accreditation does not yet exist. A generous donation from Delta Dental will help fund the program. 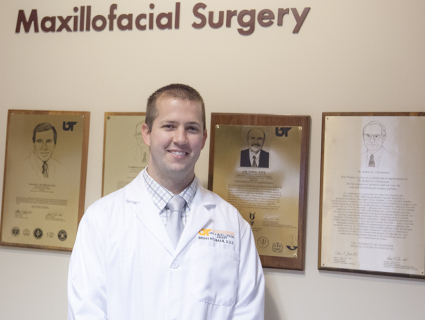 After Brian Richman, DDS, Oral and Maxillofacial Surgery Resident, graduates in June, he will return to the UT Graduate School of Medicine as the first fellow in Cleft and Craniofacial Surgery, a program initiated by his desire to help children affected by cleft lip and palate.